Wow!!! Over 22,000 views already! 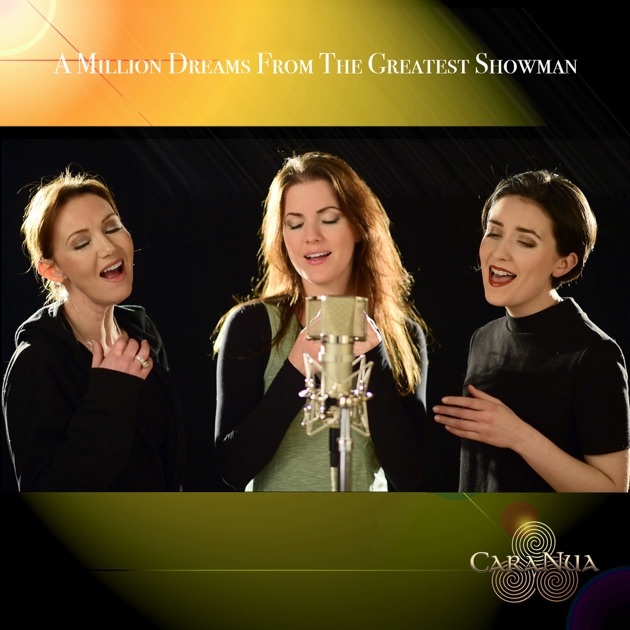 CaraNua's cover of A Million Dreams from The Greatest Showman is available on iTunes and Spotify now (as well as YouTube)! Some more pictures from their show in Utah this January. This alternative forum has a separate board for CaraNua! I think I'm going to post CaraNua stuff over on the alternative forum going forward. It's easier to organize and find things with separate posts in a dedicated board than to look through a single giant thread will all the CaraNua stuff in it. Lol. CaraNua released a new music video on YouTube! This one definitely sets a different mood than A Million Dreams, but it's devastatingly beautiful. CaraNua's cover of A Million Dreams has crossed the threshold of 100,000 views! That's awesome! Go girls ! I agree ! I especially like the one Lynn is wearing. All 3 of those dresses are gorgeous - it's hard to say which one I like the most! I'm leaning slightly towards Edel's. Any one know if a full Dulaman of Caranua will be released or come on a CD or is the trailer and live YouTube clip will only be as presentation? As much as I wanted to hear Alex on Dulaman with CW can't at least I have the full track to Caranua's version. I know Favorite Hymns 2 has been recorded, but I don't know if it will include "bonus tracks" that stray from the theme of the album.